It’s being called the reason why individual keyword research is currently going through the motions and anchor text becoming less important to search engines. With this comes a new way of finding your site on the first page of Google – through co-citation and co-occurrence and organic link building. 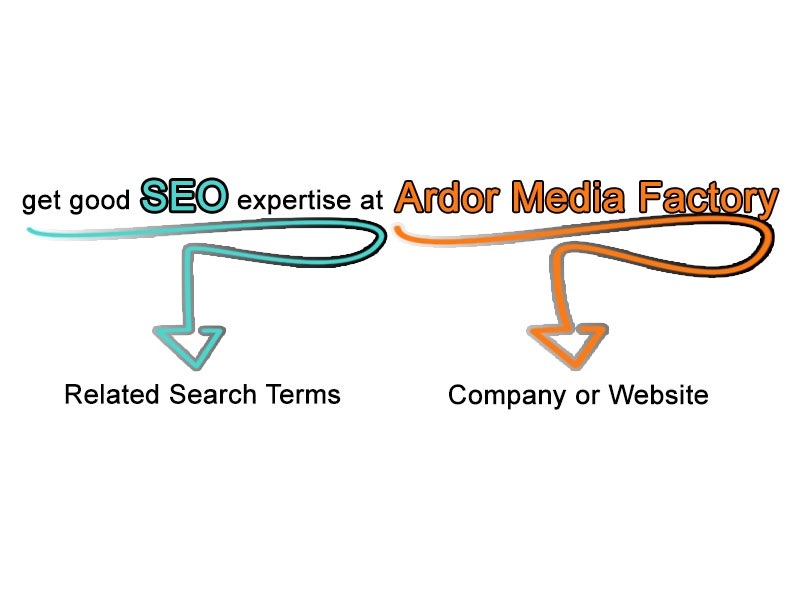 So what do we know and what does it mean for SEO in 2015? Co-citation is essentially building links without actually including any links. When two websites revolving around similar topics cite or mention the same source(s) in their content, without the use of outgoing links or sharing the same keywords, co-citation link building occurs. This in turn affects the place your website is found on search engine results without even mentioning an embedded link in your content, which also performs organic SEO link building. These diagrams perfectly illustrate how co-citation link building happens. Co-Citation Definition – what is co-citation and how co-citation works. 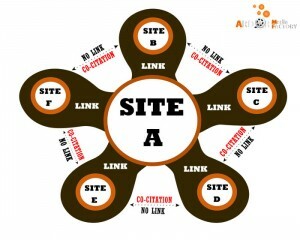 As site A references more sites (site B – site F) the links between the sites that are not directly linked together are co-cited. One way of co-citation occurring is when Site A and Site B refer to the same sources (Site C and Site D) on their individual websites without directly linking to each other. Another way this can happen is when Site A uses two different links (Site B and Site C), both of which are now the subject of co-citation as they have no direct link between each other. Co-Citation Definition – site A links directly to site B and site C, which forms a co-citation network between B and C that have no direct links between each other. Does this mean the use of links in website content is over? Not at all! 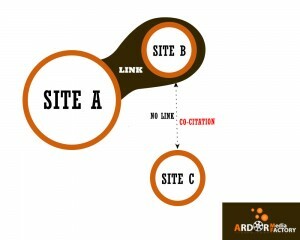 Using traditional links are still a very important way of conveying content on your website as well as helping you get to the first page of search engines, but as co-citation has entered the world of search engine optimisation it is still important to consider these changes happening to link building. Okay, so tell me about co-occurrence. Co-Occurrence Definition – when a selection of related keywords that are closely related to each other are found on different websites. Co-occurrence link building is the connection of similar, relevant keywords that are in close proximity of each other on a range of different websites. These keywords are found by Google to be an important factor when producing search engine results; an example of this would be when someone types in both “HP Pavilion eBay” and “HP Pavilion laptop for sale”, Google begins to establish that the user wants to find the specified laptop preferably on eBay and thus personalises the results accordingly. So why are they important for my website? 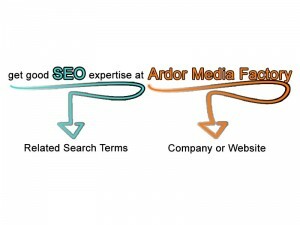 And what is going to happen to SEO in the future? Because they are changing the way we search. Keywords are becoming almost obsolete. When you type in certain keywords the top search results may not even contain the keywords you just typed into your search bar thanks to co-citation SEO and co-occurrence SEO, meaning the way keywords are used in contemporary SEO has differed since Google Caffeine in 2010, the search engine’s latest update. Since this update Google has simply began to understand that people can think as well as link. Anchor text will soon become unimportant and will be replaced with co-citation and co-occurrence according to Rand Fishkin, however many conventional SEO methods are still useful ways of making your brand stand out among the rest. Learn how to use traditional linking, co-citation and co-occurrence alongside each other to optimize your website and beat the competition at something they might not even be implementing right now. Co-citation may not be at the top of people’s minds right now like co-occurrence is beginning to be, but its impact will soon be realised in the near future. Gain that upper hand before everyone else does.